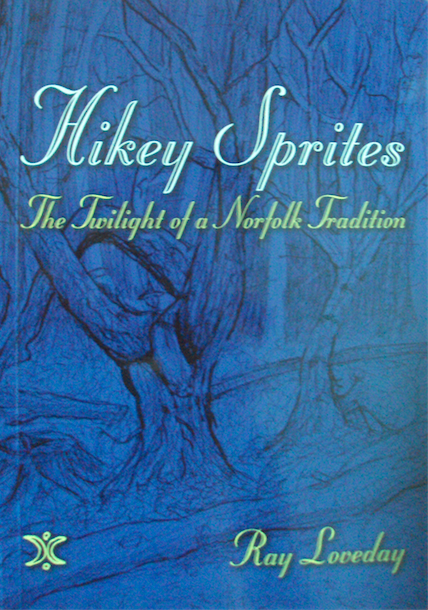 E. Ray Loveday, Hikey Sprites: The Twilight of a Norfolk Tradition, 2nd edn (Norwich: privately published, 2014), 48pp., illus. Ray Loveday’s Hikey Sprites is a truly remarkable piece of contemporary folklore research, and it stands apart from many other modern books on local folklore for that reason. As an exponent of ‘historical folklore’ who draws primarily from printed and manuscript sources pertaining to the folklore of the past, I am always full of admiration for anyone (especially in this day and age) who is willing and able to undertake oral folklore research. Loveday’s book is perhaps the only book specifically about the fairylore of East Anglia, apart from my forthcoming book Suffolk Fairylore, and thus it is of particular interest to me. Initially published in 2009, Loveday revised his book in 2014, and the result is an impressive example of folklore fieldwork, including quantitative as well as qualitative research, conducted in twenty-first-century Norfolk. ‘Hikey Sprite’ (and many variant similar terminologies) is a distinctively Norfolk name for fairies (or a particular class of fairy), first recorded in 1872. 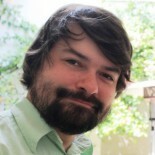 Loveday was inspired by a 1984 article by Daniel Rabuzzi to examine whether hikey sprite lore still existed in contemporary Norfolk, and accordingly set out to interview elderly local people in care homes and at country fairs and other local events. Most willingly shared their hikey lore with him, which was often of an etymological character rather than taking the form of actual fairy narratives. However, Loveday has uncovered some striking narratives and there can be no doubt that this book adds to the body of known hikey lore as well as confirming the continuing existence of that lore (at least among the older generation). Loveday’s rigorously quantitative approach highlights the extremely regional nature of hikey lore, which is not even universal within Norfolk, and is exclusively confined to the county. This is unusual, since much other folklore is shared between Norfolk and Suffolk. Although there are rare occasions when the shortcomings of Loveday’s amateur approach are evident, on the whole I was pleasantly surprised by the methodological rigour of this study. In the end, this poignant little book is perhaps less about the elusive hikey sprites than it is about the decline of Norfolk’s rural culture, traditions and folklore, which came under sustained attack from the education system in the second half of the twentieth century. Loveday shows the depth of folklore embedded within the language we use; individuals forced to abandon their Norfolk dialect thus lost access to the heritage of folklore whose last refuge was often dialectal vocabulary. This entry was posted on July 19, 2018 by jacobite.